Gabriel Darcy Gibson, an architect whose career ranged from designing terminals for American Airlines to modern home designs, including his own, died March 22, 2019. 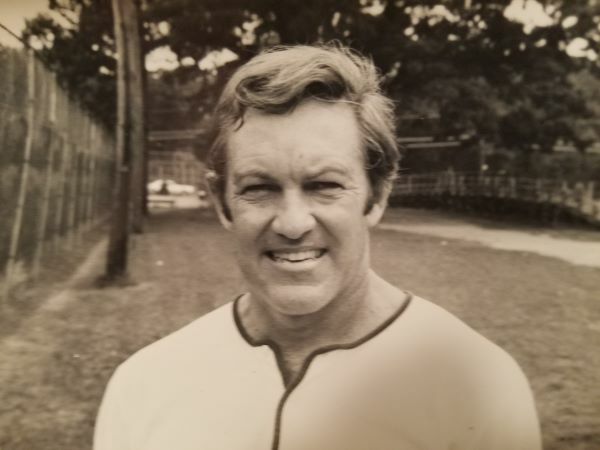 The longtime Rye resident was 91. Born May 1, 1927, he was the son of Henry and Etta (Darcy) Gibson of Jamaica, Queens. After graduating from Jamaica High School, he enlisted in the Marine Corps. Returning to his studies, he spent a post-graduate year at Hopkins Prep in New Haven. His academic and artistic work there resulted in a painting scholarship to Yale, an oﬀer he declined in order to attend Columbia University on the GI Bill. Mr. Gibson continued on at Columbia in the School of Architecture, where he would become the 1956 recipient of the William Kinne Fellows Traveling Prize. The fellowship coincided with his marriage to Barbara Smith, a recent graduate of Queens College. The newlyweds crossed the Atlantic on an ocean liner and spent their year-long, expenses-paid honeymoon touring the architectural treasures of Europe. It would mark only the ﬁrst of the couple’s many travels over the 63 years of their marriage, ranging from the Far East to Russia and across the Americas. Mr. Gibson began his professional career designing terminals for American Airlines then later working for New York Gov. Nelson Rockefeller implementing a new, more humanistic approach to the state’s mental health facilities. Ultimately, he sought greater independence and creative freedom and opened his own ﬁrm, Architects Planners, operating from Amityville, Long Island and Rye. Darcy Gibson’s designs are known for their large, open communal spaces, towering peaked ceilings, free ﬂow of movement, and sunlight-drenched rooms. The home he built for his family on Kirby Lane North in Rye remains an exemplar of his aesthetic. An avid skier and sailor, he relished spending time out of doors and loved nothing more than a day on the tennis courts or his Friday tee-time at Rye Golf Club. He enjoyed playing the guitar and possessed a ﬁne singing voice. An active member of his community, he served for many years on Rye’s Zoning Board of Appeals. A loving husband, caring father, and dutiful friend, he will be remembered for his brilliant smile, his generous spirit, and his ever-present sense of humor. In addition to his wife Barbara, he is survived by three sons, Scott, Mark, and Bryan; and seven grandchildren. His daughter Kyle predeceased him. A service was held at Graham Funeral Home, where condolences may be sent (grahamfuneralhomerye.com). The family asks that donations in his memory be made to a school or university that provided the educational opportunities he was forever grateful to have received.